Stimulating your brain in productive ways can help you improve your intelligence quotient as well. Different puzzles can sharpen different skills like vocabulary, critical thinking, concentration, and memory. A study conducted in Michigan University actually showed that grown-ups could improve their IQ points if they spent about half an hour each day working on puzzles. Now that you’re aware of all these benefits, here’s a challenging puzzle for you! It is fairly easy to understand what you need to do here but most people can’t solve this in one go. All you need to do is focus on the image given below. 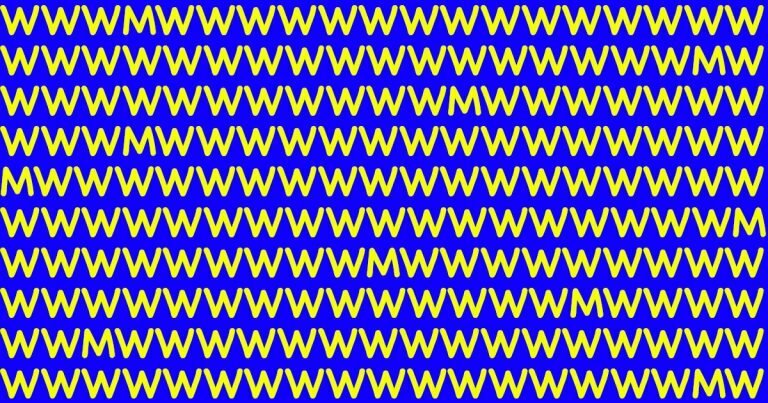 In the collection of Ws, there are Ms hidden here and there and you need to find all of them. For the sake of a challenge, you must do so in 10 seconds. The hardest part here is giving your full attention to a greater space, but also not missing out on any of the details within a few seconds. A lot of people find this very difficult and they need more time to familiarize themselves with this space. 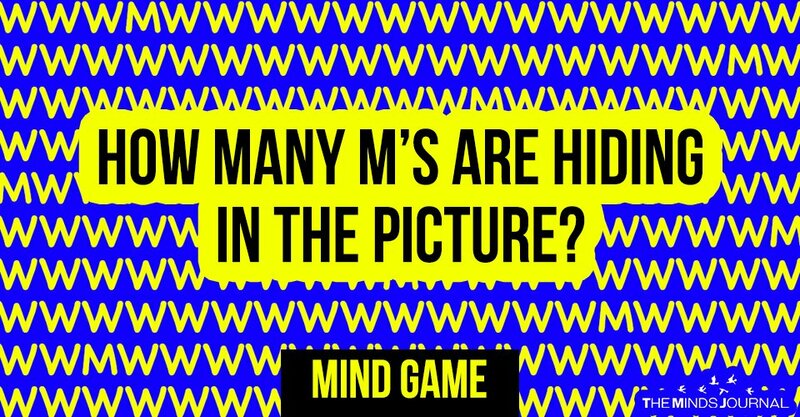 To fully solve this puzzle, you need to have found ten M’s. 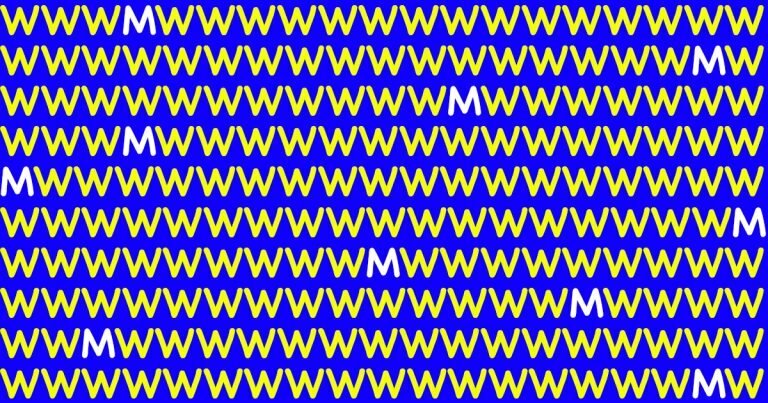 The trick is that there is one M in every line. Most people spend a large part of their days working at their desks or at conferences. Even after their work for the day is done, we can find them sprawled out on their sofas or beds with their laptops, phones or with the television on. Thanks to all the recent advancements in science and technology, we humans can afford to relax and let computers solve most of our issues. We might be quickly reaching a point when we won’t need to come up with any ideas or work out any problems on our own. It’s important to turn off that computer and get away from work for a while and it is equally important to turn off your television set. You need to offer your mind something to do which can simultaneously relax and activate your mind. By doing so, you’re helping yourself more than you realize. When we were kids, most of us played around with puzzles of some form or the other. That habit probably went away as you grew older and your time was taken up by the increasing responsibilities you had towards your family, your career, and yourself. But while doing all these things you can’t just let your brain go into auto-pilot and just do what it always does. You need to refresh and reset yourself and puzzles are a great way to do that. Just like your body, your brain also needs a good workout from time to time. Puzzles and mind games might sound trivial to you as an adult but they will benefit you in many ways. By working out puzzles, you are actually strengthening the communication between different brain cells and creating new connections as you go along. Not only does this help you think faster but it also helps you remember things better. The different variables you need to keep in mind while solving mind games or even just remembering the different pieces and keeping the image in mind for a jigsaw puzzles will all sharpen your short term memory.